Lok Sabha Elections: Jorhat parliamentary constituency represents the Jorhat district in the north-eastern state of Assam. It is one of the 14 Lok Sabha constituencies of Assam. Jorhat constituency is located in the central-north regions of the state. The Jorhat Lok Sabha Constituency is not only an entry point to the upper regions of Assam, but also Nagaland. 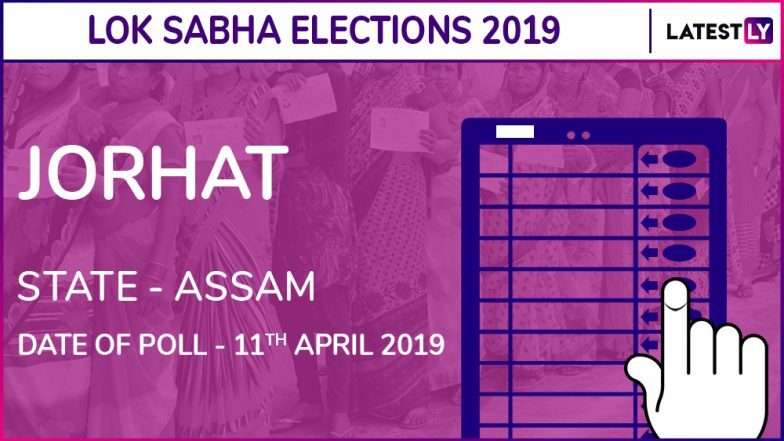 According to the Election Commission of India (ECI), polling in Jorhat constituency will take place on the first phase of Lok Sabha Elections 2019 on April 11. Dhubri Lok Sabha Constituency in Assam. In Jorhat, the key candidates for the General Elections 2019 are Kanak Gogoi (Communist Party of India), Sushanta Borgohain (INC), Topon Kumar Gogoi (BJP) and Ribulaya Gogoi (AITC). However, the last date for filling nominations was March 25, 2019, and the scrutiny of submissions was the next day, March 26, 2019. Again, the last date for withdrawal of candidature for the Lok Sabha Elections was March 28, 2019. Lok Sabha Elections 2019 Schedule. The Lok Sabha Elections 2014 in Jorhat was won by the Bharatiya Janata Party (BJP) candidate, Kamakhya Prasad Tasa, who bagged 4,56,420. Bijoy Krishna Handique, member of Indian National Congress (INC) was the runner up that year, who managed to achieve 3,54,000 votes. Besides, Kamakhya Prasad Tasa is also the current sitting member of parliament of the Jorhat constituency. The 2019 Lok Sabha Elections will be conducted from April 11 to May 23. The voting this year will take place in seven phases between April 11 to May 19, 2019. The final counting and declaration of Lok Sabha Elections’ Result will be held on May 23, 2019.